Offering three-row seating for seven people, the Nissan Pathfinder is a great midsize SUV for families throughout Tacoma and Bonney Lake. The Pathfinder has a long history of delivering impressive performance, interior space, and towing capacities. Although it’s undergone a series of changes, you can expect a solid SUV whether you choose a 2005 Nissan Pathfinder LE or a 2018 Nissan Pathfinder SV. 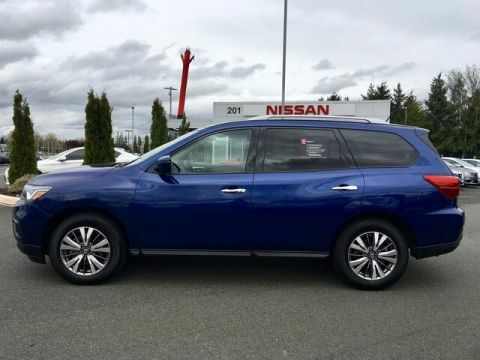 Bill Korum's Puyallup Nissan has 3 used Pathfinder SUVs below. Find yours, then apply for financing online! 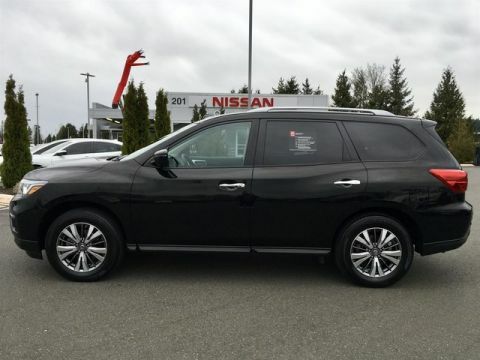 Newer models, such as the 2017 Nissan Pathfinder SL, include features like NissanConnect with a navigation system, 3rd row seats, a backup camera, heated seats, remote start, and more. If you’re shopping for a 2013 Nissan Pathfinder S or 2015 Nissan Pathfinder Platinum, you may find what you’re looking for right here. We’re always updating our used inventory, so be sure to check back for fresh options! See a vehicle you like? Schedule a test drive with one of our used Nissan Pathfinders shown above! Where Can I Find a Used Nissan Pathfinder Near Me? Bill Korum's Puyallup Nissan is your reliable source for quality used vehicles near Federal Way and Spanaway! Our sales and finance team can help you find the ideal model for your family at a reasonable price. Unlike private sellers, we offer workable financing solutions and can help you obtain the best possible rates and terms on a car loan. Additionally, we’re always rolling out pre-owned vehicle specials, so Lakewood shoppers can afford the car they want.